This prideful nocturnal predator likes to climb high so it can survey its domain; so long as it's out of reach, it feels superior to all those beneath it. 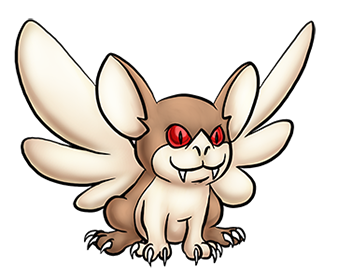 It can't use its wings for powered flight, but it is capable of gliding. It will lock onto its prey with its sharp senses and swoop in silently for the kill. It has a playful streak and may toy with its victim before finishing it off. Despite its killer instinct, it's affectionate, easily tamed and makes a good pet or a first Kreature for a novice tamer.